The latest player to join the Triple Crown is perhaps the most well-known, as well as the most accomplished –which is saying something when the players being compared are all Triple Crown winners!—in Bertrand Grosspellier, better known in the poker and Starcraft world as “ElkY”. ElkY has been dominating poker since shifting from Starcraft to online poker in the mid 2000’s, and he has pushed the envelope even farther by virtue of his incredible success in live poker tournaments. With nearly $8 million in live tournament winnings over the past five years ElkY has quickly put himself within striking distance of a number of all-time poker records, and he is still a relative newcomer to poker! ElkY put himself on the poker map by winning the 2008 EPT PCA, followed by a win later in 2008 at the WPT Festa al Lago Main Event. Since then ElkY has dominated in the high-roller tournaments that take place on the tournament trail, as well as final tabling two other EPT Championship events and the $25k WPT Championship in 2009 where he finished 3rd. 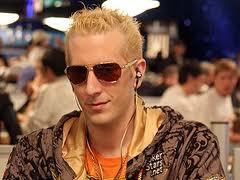 ElkY finally won a WSOP bracelet in 2011 when he won the $10k Seven-Card-Stud Championship, in what was the first Stud tournament he ever played! Watch out for ElkY winning multiple Triple Crowns –I have a feeling he will win multiple WSOP bracelets, multiple PT titles, and multiple EPT titles; the question is just how many! This entry was posted on Monday, June 20th, 2011 at 7:37 pm and is filed under Poker News. You can follow any responses to this entry through the RSS 2.0 feed. You can leave a response, or trackback from your own site.